FIRST things first: Those who marched peacefully with Martin Luther King cannot be compared to today’s peace fantasists, as they shamelessly and continuously bang the drums of kumbaya (acting as apologists) for “peaceful co-existence” with Islam’s followers. Have mercy. Let’s get that bold-faced (comparative) lie off the table. AS always, the unvarnished truth must be stated for the record: For the most part, many who assisted Martin Luther King (a contingent of prominent Jews were in the forefront) were invested in undoing the injustice done to blacks, that which was denied to them based on their skin color. Indeed, most rational folks understood that said prejudice had no place in a democratic society. On the other hand, the war being waged by Arabs/Muslims against Jews has NOTHING to do with civil/human rights, but EVERYTHING to do with a religious war waged by Mohammedans followers! INEXORABLY, what else needs to be clarified, seriously, when screams of ”remember the battle of Khaybar against the Jews we will do it again…” are heard in Jerusalem and throughout Israel, as well as all over the Arab/Muslim world? And what about repeated OPEN proclamations at social media of their genocidal intent…”Kill the Jews”…“ichbad el Yahud”… شرم بلدة يهود ! BUT before we segue to “Exhibit A”, specifically, the American-Israeli bloodletting in Jerusalem (among a continuous stream of Jewish blood throughout Israel), it is beyond efficacious to read (or reread, whatever the case) three exemplars and underpinnings, relative to the entire thesis at hand: In no uncertain terms, it is wildly dangerous to cling to fantasies of peace, especially with those who are mandated/indoctrinated/incited to kill due to their belief system and culture! IF anything, Islam and Blood (a groundbreaking policy paper) is requisite high priority reading. It delineates the inextricable relationship between Islam and blood on multiple levels: theological, cultural and political. Imbibe its basis. The fact that this investigative journalist added some insights and participated in its pre-publication review, well, it was a distinct honor. Adina Kutnicki: First and foremost, the Post-Zionist movement in Israel is replete within every sector where civil society elitists permeate. They burrow deeply inside the political and military hierarchies and their tentacles reach within academia, media, legal, cultural and public diplomacy arenas. Many are leftist ideologues, but some are simply well paid whores, handsomely provided for by various foreign-funded NGO’s, all in order to ply their wares. The New Israel Fund (among others) is a major umbrella front for those who seek to delegitimize Israel as the Jewish national homeland. On the other hand, it is estimated that a very small fraction (approximately 3%) of the Jewish majority public veers to the left. Nevertheless, the majority’s wishes are continually marginalized, and herein lies much of the rancor and push back from nationalist Jews, of which I am immeasurably aligned with. Adding to the morass, the fact that Israel has yet to adopt a Constitution (Professor Paul Eidelberg, a renowned American-Israeli political scientist cited above – a PhD from the University of Chicago – has drafted/shaped many of Israel’s future Constitutional components, and they are held within the Knesset as place markers) muddies the waters. In word and deed, this is a fatal flaw which allows many offenses – which would otherwise be deemed treasonous – to fly under the radar, despite Israel’s Basic Laws. As to the mental aberration, why Jews (hailing chiefly from the left) side with sworn enemies, well, this is a question which Dr. Kenneth Levin, a Harvard psychiatrist, as well as a PhD historian from Princeton, answered in his masterpiece; a monumental, epoch feat of scholarship “The Oslo Syndrome: Delusions of a People Under Siege.” To make a long story short (and to save myself from a throbbing headache…this subject irks to no end), a chronically besieged people – and the Jewish people qualify like none other – often end up internalizing the hatred and delude themselves about the malevolent intent of their enemies. The visceral, non-quenching hatred is too onerous to bear, therefore, fantasy becomes blurred with reality. Feeling totally out of control, they invent a fairy tale, not unlike chronically abused children. But this is just its tip, the rest must be gleaned through the book itself. It is an eye opener and jaw dropper….continue reading…. INCONTESTABLY, in a nutshell, as Daniel Greenfield wisely noted:“You Can’t Co-exist With People Who Want to Kill You!” What is so hard to internalize about that basic reality?? An American educator who marched for civil rights in the 1960’s and advocated coexistence between Muslims and Jews when he moved to Israel died Tuesday after succumbing to wounds sustained in a Palestinian attack on a bus in Jerusalem two weeks ago. It was one of many attacks in a month of violence triggered in part over Palestinian allegations of Israel changing long-standing agreements at Jerusalem’s most sensitive holy site, charges Israel strongly denies and says amount to incitement to violence. In an effort to lower tensions at the site, Israeli and Jordanian officials said Tuesday that new surveillance cameras should be installed within days at the shrine, with the goal of streaming footage live online for maximum transparency. Jordan serves as the custodian of the Muslim-administered site. Richard Lakin, 76, died of wounds sustained on October 13 when two Palestinian men boarded a bus in Jerusalem and began shooting and stabbing passengers. It was one of the bloodiest attacks in recent violence in which Palestinian attackers killed 11 Israelis. In that time, 55 Palestinians have been killed, including 35 identified by Israel as attackers and the rest in clashes with security forces. Micah Avni said his father was a beloved educator and author of a book on teaching. He was an elementary school principal in the US and taught English in mixed classes of Muslims and Jews in Jerusalem after moving to Israel in 1984. In the 1960s, Lakin was active in the civil rights movement in the US, marching with Martin Luther King and bringing students from Boston to the South for sit-ins, Avni said. “He was a big believer in people and in peace and in being kind and he never hurt a soul in his life,” Avni said, adding that thousands of people from around the world have contacted him to express their shock and condolences after his father’s death. Suzanne Hertel of West Hartford, Connecticut, taught under Lakin at the Hopewell School in Glastonbury, where he was principal. He championed an effort to bring students from inner-city Hartford to Glastonbury under a program called Project Concern, she said. 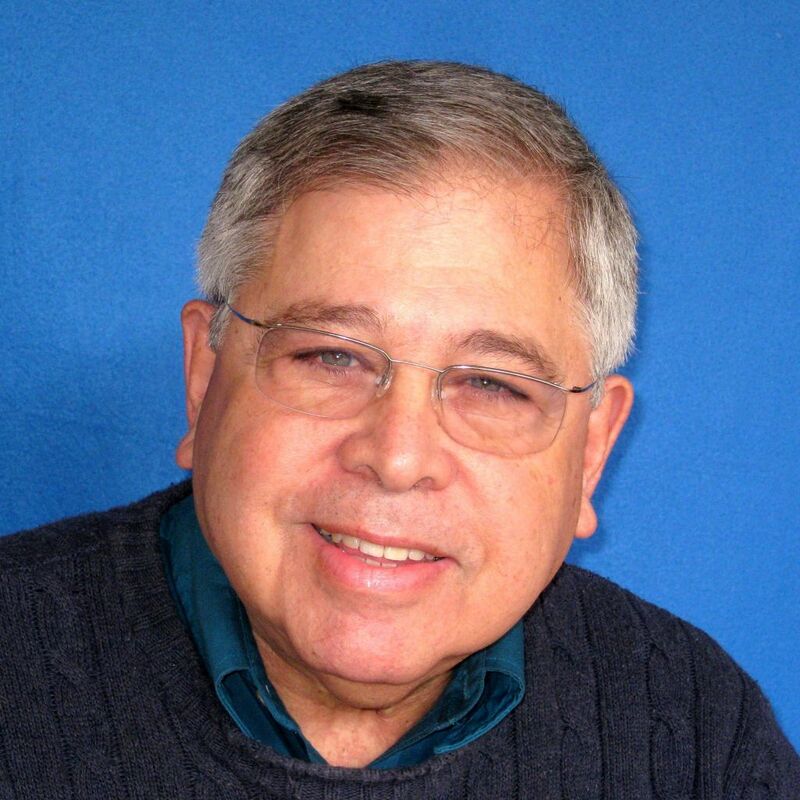 Rabbi Richard Plavin of Beth Shalom B’nai Israel in Manchester, Connecticut, which Lakin attended before moving to Israel, said Lakin was a passionate man who pursued peace and justice. He said Lakin was a Freedom Rider in the 1960s, working to desegregate the South. “He was really a peacenik. He believed deeply in a two-state solution and wanted to see Arabs and Jews living together in peace,” he said. Lakin was on the bus returning from a doctor’s appointment for minor back pain when “he was brutalized by two Arabs from East Jerusalem who got on a bus, shot him in the head, then stabbed him in the face, then stabbed him in the head” and continued stabbing him multiple times in the body, his son said….continue reading…hmm…. TRUTH dare be told, leftist-imbued Jews (secular or religious, it makes no diff) who continuously harp on the outrageous canard of “peaceful co-existence” with those who are Allah-bent on murdering all Jews (Christians and other minorities too…but let’s not digress…) are fueling the jihad! Yes, they are. EFFECTIVELY, not only do leftists serve as apologists for that which is mandated/indoctrinated/incited via Islam – and endemic within their societies – but they act, unwittingly, as their shields. STILL yet, there are individual Arabs/Muslims who want to co-exist…see video. Yes, this American-Israeli, a right-wing Zionist to boot, salutes their efforts. However, once again, first things first: After Arab/Islamic leadership are forcefully dealt with – in tandem with a preponderance of their followers – those who truly desire to “co-exist” will also benefit. Cart before the horse…In other words, the Arab/Islamic garbage has to be cleared away before any semblance of “co-existence” can be attained. Understood ? הבין ? BESIDES, how many deluded Jews will actually say mea culpa to their non-fantasist brothers and sisters (forget about the rest of Islam’s apologists, not even going to go there…), thus, saving many Jews in the process, “peaceniks” included? Intrinsically, by ceasing to feed hallucinatory “peace-pipe” dreams, they pave the way, once and for all, for Israel to prevail over genocidal foes. IN case this American-Israeli hasn’t been clear, let it be known: Having a widely read media platform (with re-blogs at more than a few major sites) has its benefits. Resultant, there exists zero compunction to proffer excuses for Jews (or others) harboring costly delusions, one price being communal airing of dirty laundry. Not only that, it is an obligation to do so. MOST significantly, history will not treat Jewish fantasists kindly. Their obdurate refusal to recognize the underbelly of the Arab/Islamic genocidal foe only serves to hamper many efforts – seen and unseen – to beat them back. This is a fact. OF course, this site offers its condolences to the Lakin family, as well as to countless “sacrifices for peace” over many decades! This entry was posted in Uncategorized and tagged "ichbad el Yahud"... شرم بلدة يهود, 'Islam and Blood', Egyptian TV host & historian agree: burning Jews the solution, Islam Exposed, Islam's religious war, Richard Lakin:American-Israeli peace activist, The Homeland Security Network, The Inquisitr Interviews Adina Kutnicki: The Reality Of Life For An Israeli Patriot by Adina Kutnicki. Bookmark the permalink.